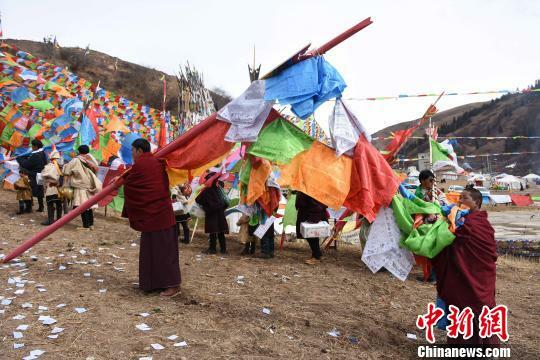 On March 8, the Mountain Goddess Festival, a traditional holiday was held in Akyam Township of Aba County, Aba Tibetan and Qiang Autonomous Prefecture, Sichuan. 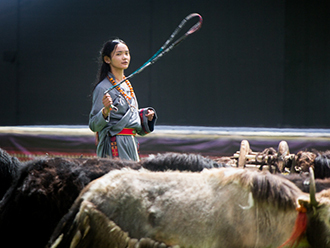 Local Tibetan residents gathered to celebrate with incense burning, horse racing, singing and dancing, while also wishing for good luck in nextyear. 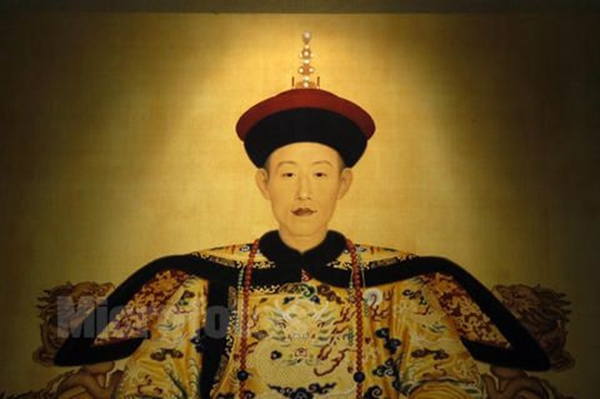 The festival lasted three days. 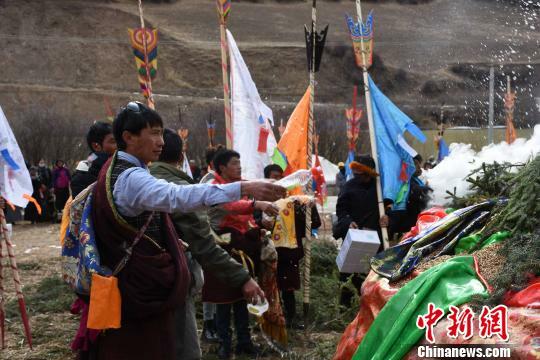 Local Tibetan residents are lighting a bonfire. Site of the Mountain Goddess Festival. 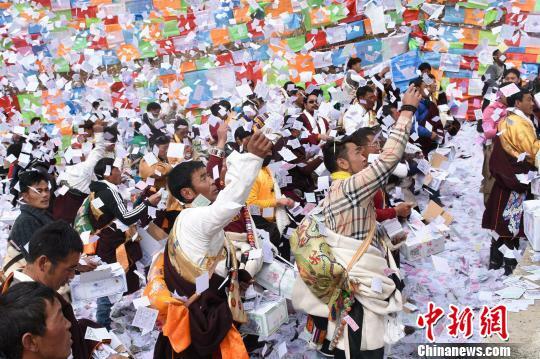 Local Tibetan residents are throwing ceremonial papers. 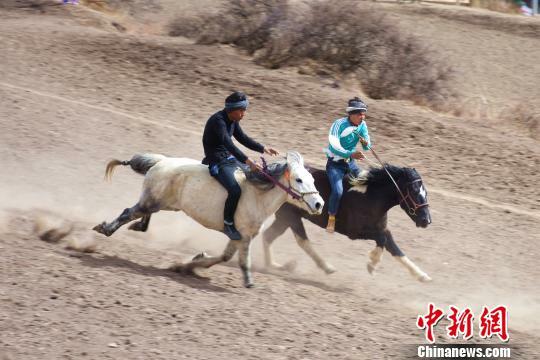 Horse racing is an important event at the Mountain Goddess Festival.” Photo shows local Tibetan residents are racing horses.